Thinking they are dead, Naruto and Sasuke have flashbacks of their childhood and how they both the pain as orphans. Sasuke thinks of what it means as Hokage and remembers his brother, and the Uchiha massacre. Both wake up to find they have both lost an arm. Sasuke asks Naruto why he continues pursuing him and is dissatisfied with Naruto’s reply they are friends. Naruto explains he feels pain when Sasuke is going through a tough time. Sasuke admits he feels the same way and has always been jealous of Naruto. Sasuke sees Naruto’s memories of Itachi explaining the meaning of Hokage and realizes his newfound desire to return to his friends. The next morning, both are still unable to move and Sasuke is amused at Naryo for still wanting to fight, and he admits defeat. 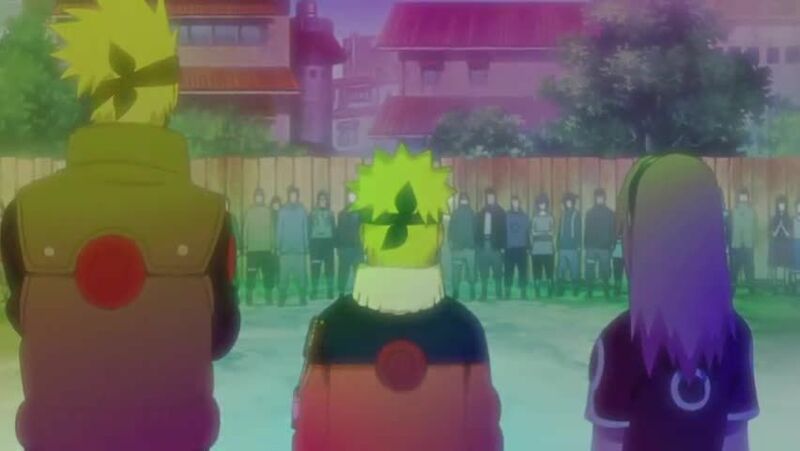 He asks Naruto to use his Rinnegan to undo the Infinite Tsukuyomi after his death but Naruto refuses because he wants Sasuke to work with everyone else. Sasuke is moved to tears by Naruto’s words. The ruined hands of the statues then depict the unison seal, alluding Naruto and Sasuke’s reconciliation. 5 / 5 - 75 ratings.